Over 4 years ago when Jim (Dad) and I ventured into the blogging world of Whisky we couldn’t have imagined we would have met, tasted and written about so much. It has truely been a fabulous 4 years and we are both feel extremely privileged to have hosted such an event as last night. Around 5pm when we knew it was going to be a dry, sunny night at WhiskyBoys HQ we were positive the evening would be a roaring success. The table was set, the beers and ales were chilled and the food was gently warming in the oven – we were ready! 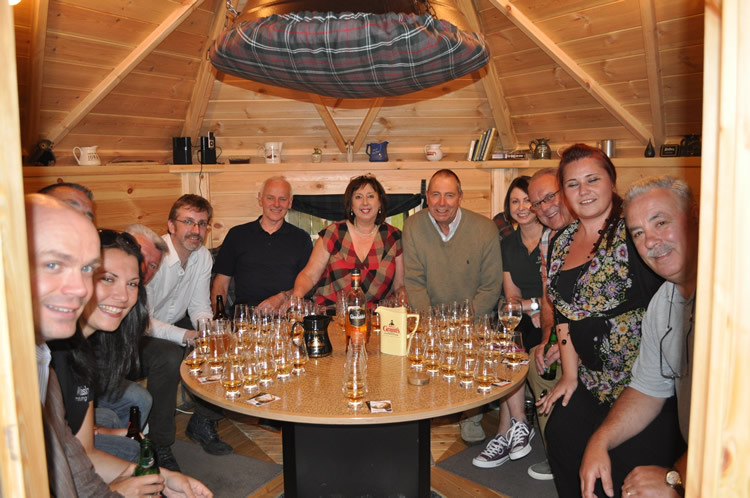 Our guests included Jamie Milne of Glenfiddich, Dave Craig of Spirit of the Spey, Olaf Meier & Helen Stewart of SMWS, Mark Connelly of The Good Spirits Co and many a familiar face from our previous guest tasting nights – Alex Milne, Lee Madigan, Robert Heeps, Paul Coleman and Jacqueline Coleman. With Glenfiddich Rich Oak prominently displayed in front of us on the new tasting table, Jim quickly got down to business and introduced Jamie to our “Tun of tasters”. Jamie was as ever enthusiastic and professional, with a splash of humour, when deconstructing the Glenfiddich 14YO Rich Oak. However before starting, and to get everyone’s palate ready for the cask strength’s, Jamie suggested we start with the core 12 YO. I have to admit after tasting the 12YO Glenfiddich there were a few changed minds in the cabin about this dram, a few of the tasters hadn’t tried this whisky in a while and had forgotten how good it is. We then got on with the deconstruction and tasted the key casks involved in the 14 YO Rich Oak which included a 14 YO refill and two 14 YO which had been further finished in American and Spanish Virgin Oak casks – I absolutely loved the cask strength whisky finished from the Virgin Oak American casks. Everyone agreed that Jamie had educated us ALL on the importance of the wood and casks and also the new use of the two virgin oak casks. 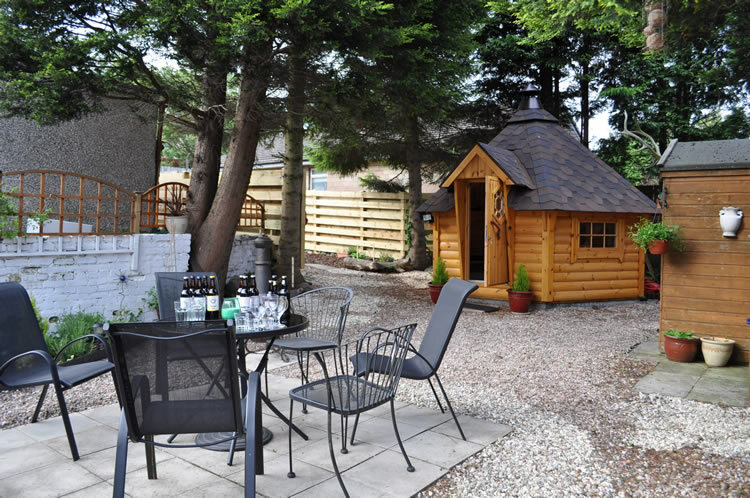 We broke for supper in the garden, which included some home cooked macaroni cheese and a selection of burgers and salad. This was to ensure stamina would last for the next tasting session. Once again we all entered the cabin and Jim took to the floor and introduced our next tasting. 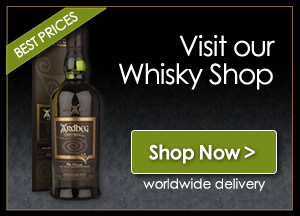 We were now about to embark upon three Single Cask Independant Bottlers Drams including: Douglas Laing Bladnoch, Berry Bros & Rudd Longmorn and finally a SMWS Springbank. Three very different drams from three different Whisky producing areas of Scotland, the three drams certainly had people talking and produced split opinions on which was their favorite and what could be nosed. After the three drams were quaffed the Cabin got a little lively and the evening blending seemlessly into great chat, more fantastic drams and Whisky tales. 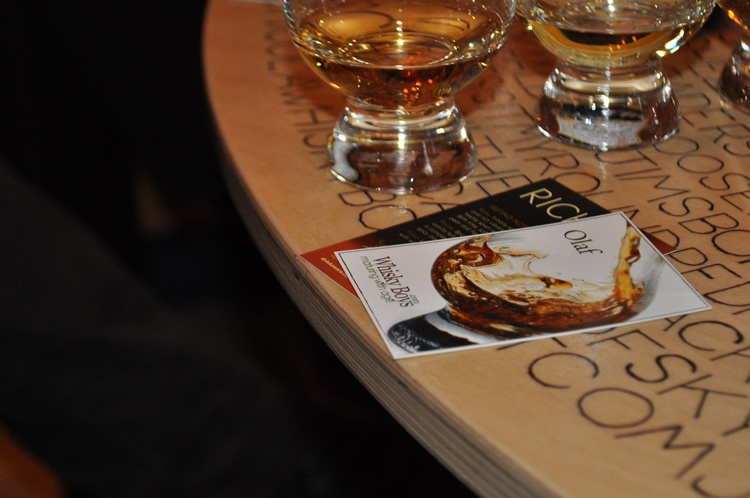 A fantastic night shared with some amazing Whisky friends – can’t wait till the next one…. Angels’ Share Whisky Dropper has Another Use!